A complete manual covering every area of dog care and ownership - from shopping around to housebreaking, civilizing, basic obedience, parlor tricks, outdoor sports, health care, grooming, traveling with your pet, and a paranoid's guide to guard dogs & protection. 160 pgs. With hundreds of sheep grazing on miles of steep rock Derek relies heavily on a team of capable and talented dogs to gather the sheep throughout the year. He shows his techniques for training a dog to flank, lie down, outrun, drive shed, go back and much more. Then he shows how these skills are used in everyday work situations. He gives training seminars and clinics and continues to judge. This video is regarded by many as the best training video on this subject. 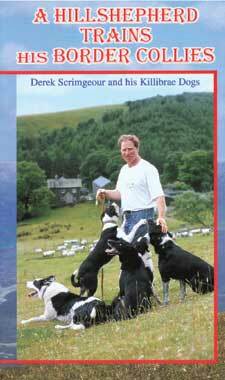 Derek is also the author of the highly acclaimed book Talking Sheepdogs. 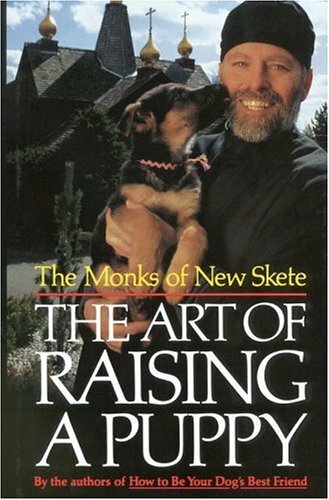 The author takes you by the collar & leads you through everything you need to know to understand your puppy. It makes it possible to communicate with your new puppy, initiate the first lessons with success, select the best supplies, determine the intelligence of your puppy, & choose the training approach appropriate for your purebred or mixed breed puppy. 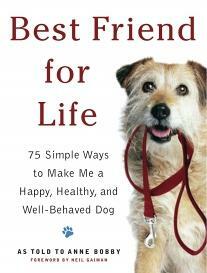 It discusses basic commands, preventing & curing bad habits, traveling, grooming, competing in organized sports & much more. Over 150 color photos. 160 pgs. Early days, choosing a dog, play to work, singling & outrun, polishing, brace. John Ross and Barbara McKinney, authors of the best-selling Puppy Preschool, provide a biscuit-to-basket guide for every kind of adoptable dog-the older puppy, the overactive or unhousebroken adult dog, the shelter pooch, or even the mature canine in need of one last, loving home. 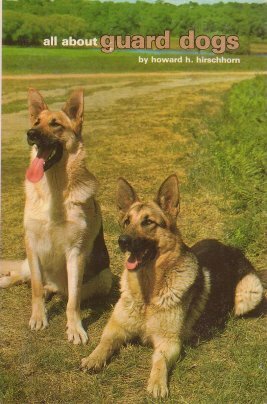 The authors provide reliable advice on: determining which dog is right for which home; finding and using reputable breed associations, rescue organizations, and pounds; helping the dog to get along with children and older adults, and other pets; retraining approaches for curing obsessive barking, separation anxiety, housebreaking problems, and fear biting; overcoming the scars of previous abuse. 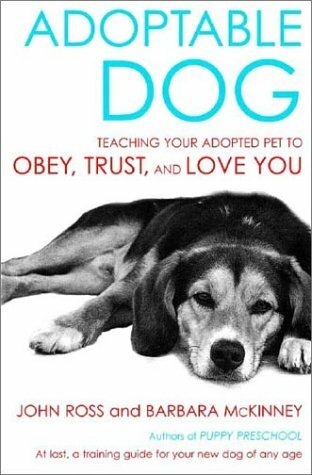 Adoptable Dog is sure to be an essential book for anyone thinking of adopting an adult dog. B/W photos. 354 pgs..
Training and trials for all dogs. Covers getting started, obstacles, obedience, sequence training, distance control, training class ideas, agility trial classes & competition, holding an agility event. B/W photos & illustrations, and obstacle course construction diagrams.237 pgs. Learn how the sport evolved, how the courses differ in different organizations, what the rules & titles are, and training tips. B/W photos. 180 pgs. Chapters cover: Viking dogs before 1000 AD; Responsibility associated with owning a protection dog; best breeds for protection; training phases; obedience training; aggressive phases of protection; the Miami Polie Dept canine detail (logistics, specific employment of dogs, physical & mental attributes of the police-handler & his dog, actual training, tracking, search, the canine car, narcotics dogs); diseases; first aid; canine honor roll - tributes to dogs. B/W & color photos. 128 pgs. Start your puppy right, house-training & crate-training, basic obedience commands, does your dog bark, dig & chew?, games to play with your dog, more training, dog sports & activities, responsible dog ownership. Delightful drawings. 116 pgs. 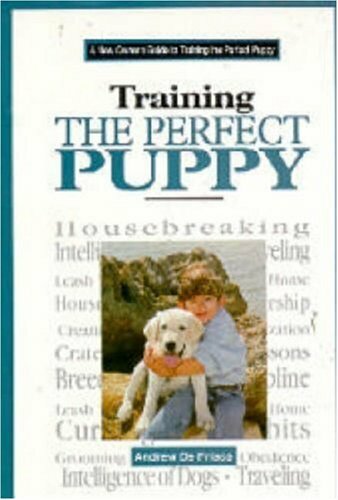 Features: the stages of puppy development, the decision to adopt a puppy, the right breed for you, where to get a puppy, finding a dog breeder, preparing for your puppy's arrival, the first day at home, learning to read your puppy, a complete guide to basic training methods, solutions to common puppy problems, feeding, grooming, and general care. B/W photos. 274 pgs. 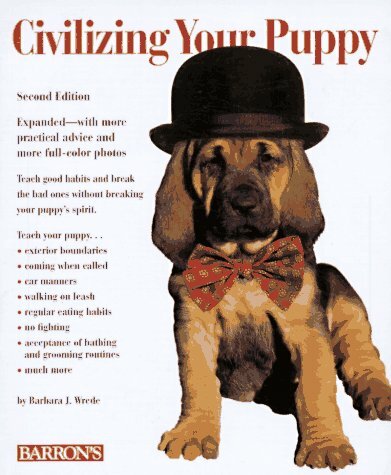 Contents: Housebreaking your dog; Teaching basic obedience; The dog in the street; Pulling, dragging & bolting; Barking & protection; Fetching & staying; Teaching your dog tricks; Obedience trial competition; Training show dogs; Your dog's health. Color photos on nearly every page. 96 pgs. 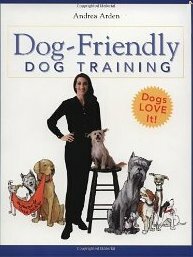 This handy paperback edition is loaded with irresistible photos and easy-to-implement tips for raising a happy, healthy, well-mannered dog, no matter what the breed or environment. 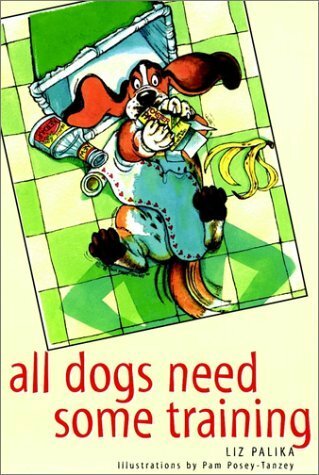 This inspiring book has great tricks and ideas for dog owners of all kinds, from the first-timer to the lifelong pet ownerand its combination of simple, practical tips with delightful photos and inspiring stories of real dogs makes for a little book that has everything. 160 pgs. 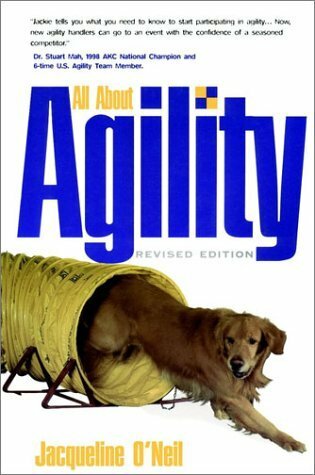 This book shows how dogs learn, what they do with what they learn, and how a stimulated canine mind, along with an untrampled canine ego, makes for a dog that is a constant joy to live and work with. The new edition presents the most current knowledge on canine learning patterns, and provides updated American Kennel Club obedience trial regulations, greatly expanded since the first edition appeared. 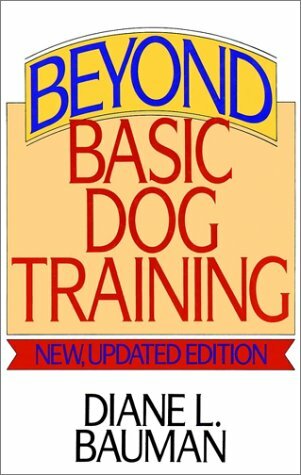 The instruction in Beyond Basic Dog Training is behind Gaines "Superdogs," numerous obedience trial champions, and a host of canine successes. 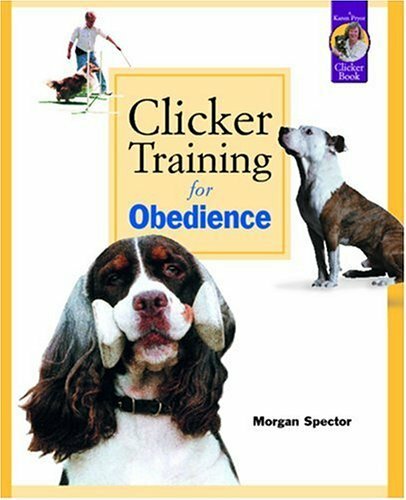 This is the book of choice for informed obedience fans. It can do for you and your dog what it has done for them and theirs. B/W photos. 257 pgs. 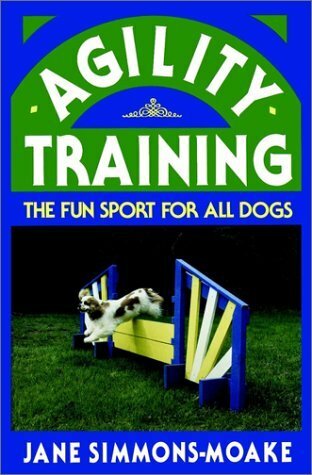 From canine beauty pageants to agility trials, this unique book combines fun, satisfying activities for both dogs and dog owners. 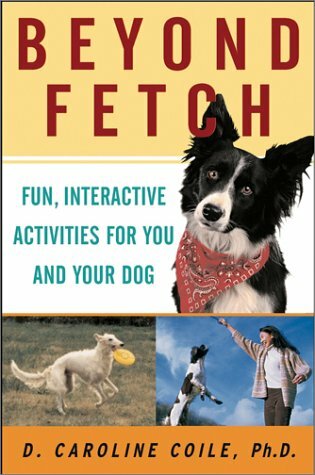 Whether one is looking for rainy-day fun or a new social life centered on the local dog park, "Beyond Fetch" provides details, descriptions, and advice on getting started. Go BEYOND FETCH, with: Mind games that challenge your dog to learn and remember; Backyard athletics that will keep you both leaping and laughing; Party games for every dog and dog-lover you know; Doggy vacations that will make memories that last a lifetime; Outdoor adventures that will challenge your skills, and your dogs skills; Dog toys your dog will love. 206 pgs. 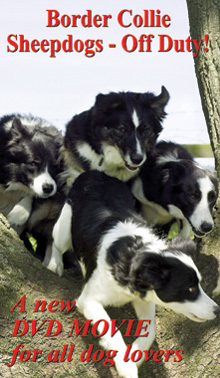 Working collies as youve never seen them before, with stunning photography and an inspiring soundtrack that draws you into the action. 16 action packed chapters include Mel making a Sega commercial, the dogs spending a day at the beach, puppies galore, watersport, country walks and super action - a fabulous sheepdog slideshow and 18 great music tracks. 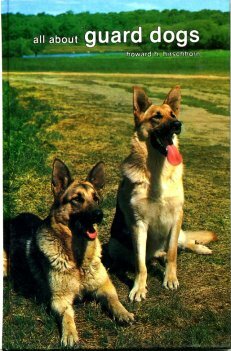 A unique insight into the delightful character of the worlds favorite working and companion dog breed. No narration - the dogs and music say it all! 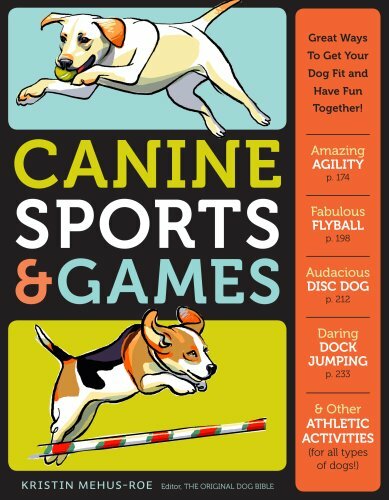 Canine Sports & Games: Great Ways to Get Your Dog Fit and Have Fun Together! Presents the full range of possibilities and identifies canine abilities, instincts, and personalities that work well with each sport. Not sure about competitive sports? Swimming, hiking, and skiing are excellent opportunities for humans and their dogs to have fun together. And Canine Good Citizens, therapy dogs, and search-and-rescue dogs earn the respect and love of the people whose lives they touch. Enthusiastic owners will find suggestions for every kind of canine. Basic training and obedience are necessary before beginning any organized sport. Fundamental commands, nutrition and fitness, and injuries and aging are all covered in an overview that prepares readers and their dogs for the challenges of competition. The heart of the book is a sport-by-sport examination of 19 games, obedience competitions, and tests of instinct. Each sport is described in full, with information on history, complete rules, required equipment, how to begin training, safety reminders, related organizations, achievable goals and titles, and amusing or inspiring anecdotes - everything dogs and their people need to get down to some serious playtime! Illustrations. 255 pgs. 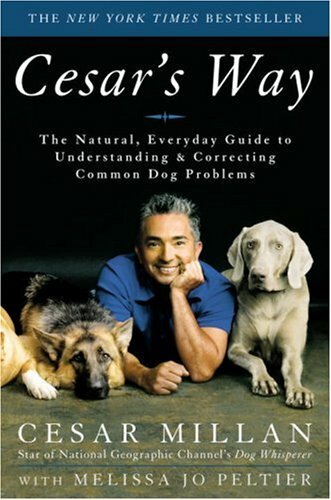 Cesar Millan, host of TV's "The Dog Whisperer," offers a fresh and highly readable, commonsense guide to understanding dog behavior and correcting common dog problems. 25 illustrations & photos. 298 pgs. Here is advice on virtually every aspect of interaction between dog and master, including obedience training, breaking bad habits, house breaking, teaching exterior boundaries, bathing and grooming, protection against parasites, getting the pet to accept veterinary care, and establishing regular eating habits. Advice on selecting a puppy to fit human personality types and family habits is included. 120 pgs. Step-by-step instructions, regardless of the dog's age or experience, whether starting a new puppy or headed for the obedience ring. Teach your dog to: master a wide range of basic skills, accept grooming and physical handling calmly, come when called, walk quietly on a leash in public, behave polielty around friends & family, and perform with confidence and precision in the obedience ring. B/W photos. 267 pgs. 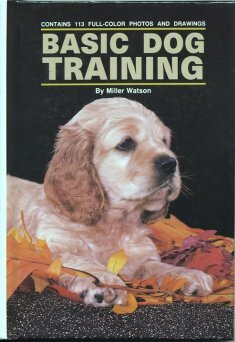 Best training age, puppy training, basic principles, training exercises. Whether you're trying to housebreak your dog, or teach it to heel, sit, come, stand, stay, play games, or do tricks, you'll find the right training technique here. The full range of dog and puppy care is covered. You need no special equipment--a consistent tone of voice for each command is the key. Change bad behavior, such as excessive barking and digging up your lawn. Charts show different needs for over 75 breeds. 128 pgs. All dogs need training to live peacefully among humans. 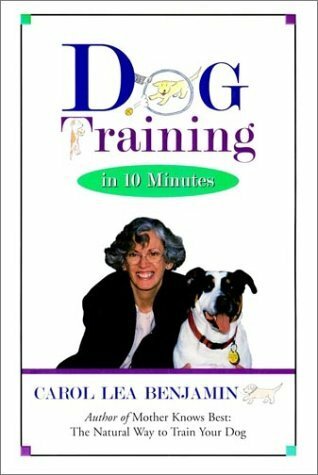 This book's clear, step-by-step instructions show you how to train your dog, from housetraining and socializing your puppy to teaching your adult dog fun new tricks.Discover how to teach your dog basic commands, Eliminate unwanted behaviors, make training fun and effective, choose the right training equipment, and live in harmony with your dog. 386 pgs. 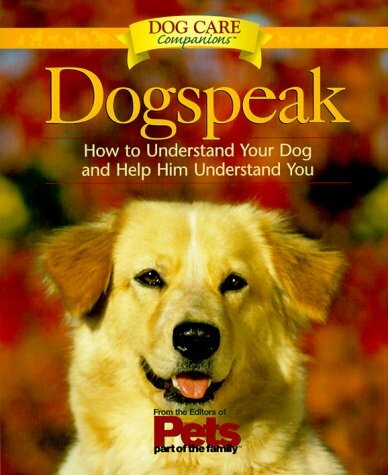 In language that's clear and easy to follow, and with a method that's compassionate and humane, this book will teach readers about understanding their dog (the first step in getting a handle on the animal's behavior), training equipment, teaching sit, down, come, heel, and other essentials like wait, leave it, and off, and secrets of problem correction, and much more. 45 color photos. 62 color drawings. 124 pgs. Owning a dog, beginning steps, basic commands, advanced & utility training. 86 pgs. 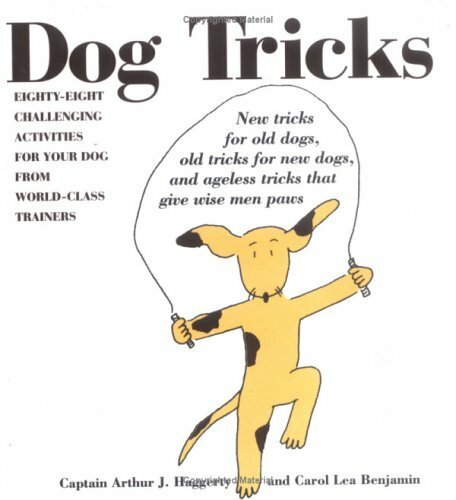 88 great tricks to teach a dog--from the simple give me your paw to the more challenging jumping rope to the more useful telephone-answering-machine trick. Aptitude chart allows owners to gauge which tricks their breed of dog will most likely master. Packaged with a flying disc - hours of fun with your dog. 45 practical and engaging drawings by Carol Lea Benjamin. 303 pgs. 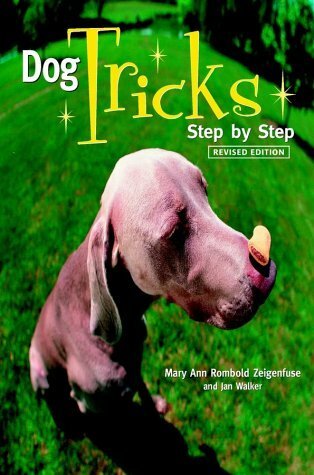 88 great tricks to teach a dog--from the simple give me your paw to the more challenging jumping rope to the more useful telephone-answering-machine trick. Aptitude chart allows owners to gauge which tricks their breed of dog will most likely master. - hours of fun with your dog. 45 practical and engaging drawings by Carol Lea Benjamin. 303 pgs. Teach your dog tricks you ll BOTH enjoy, the fun way, without rules and regimentation! Use the Canine Personality Test included to find out your pet s Personality Profile, and then follow the step-by-step guidelines to teach those tricks best suited to your star-to-be. 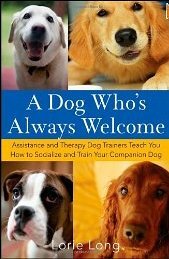 Included are practical tricks to make your dog useful at home; tricks to build rapport between dog and trainer; and cute tricks, great just for showing off. Instructive and fun photos and illustrations throughout complement the easy to follow, step-by-step instruction from trainer Mary Ann Rombold Zeigenfuse. B/W photos 130 pgs. 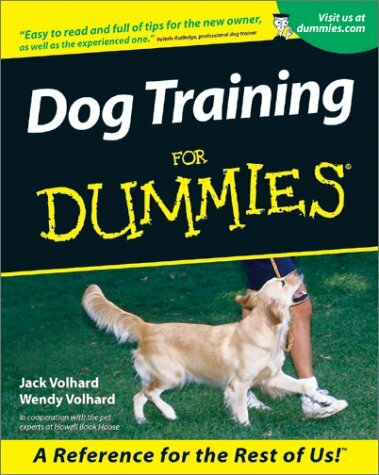 This is the essential handbook for any dog owner experiencing behavioural or training problems with their dog or puppy. 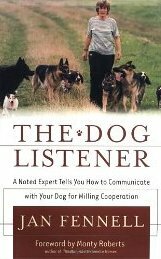 Written by an well-known dog behaviourist, it contains easily followed advice on a wide selection of common problems, as well as a number of fascinating case histories. 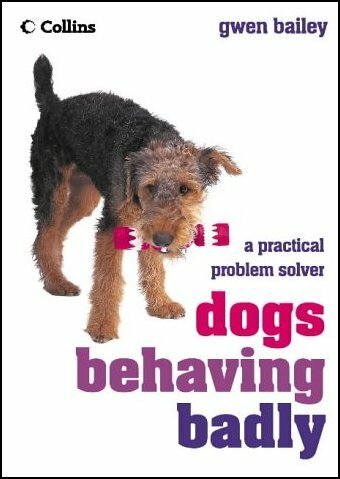 Gwen Bailey's Dogs Behaving Badly is a complete, easy-to-use guide for every dog owner. Drawing on over 14 years of experience as an animal behaviourist for a leading animal welfare charity, and experience from running her own practice, she provides sound, practical information on the most frequent behavioural and training concerns of dog and puppy owners. A clear question-and-answer format helps the reader to access the expert solutions, while fascinating real-life case studies demonstrate Gwen's proven, humane techniques for dealing with problem behaviour. 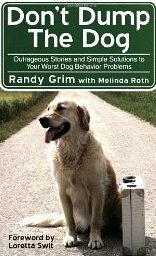 Contents include: (1) Aggression toward humans (2) Home alone (3) Sexual frustration (4) Dog fighting (5) Puppy problems (6) Hierarchy issues (7) Chasing concerns (8) Car travel With advice suitable for dogs of all ages and breeds, and illustrated throughout with full-colour photographs, this problem solver will enable any owner to transform even the most unruly of dogs into a happy and obedient pet. Color photos. 127 pgs. How to understand your dog and help him understand you. Tips on body language, barking, making contact, and advanced commands. Color photos. 166 pgs.